You think large hikari will continue or do you think funko will go with mini for now on? I am in the hoping to continue group. I see room for both in the market place, hoping the interest in mini might drive a little bit more interest in the fill size pieces. I didn't see anything Hikari announced at Fundays or the 'con? I'm sure we'll still get plenty of new Hikari. 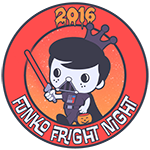 Frankenberry had several variants so you know Booberry and Count are coming soon as well. Star Wars Hikari always seem to pop up too. I'm sure we will get both! My theory is that mini Hikari are being made for those that like Hikari but can't quite afford or justify paying the higher price point. In our house we have a few full size and an ever growing mini Hikari collection. They are both awesome so why not continue both lines? I personally love Hikaris although I only have about 15 of them so far I am picky on the ones I buy on the flip side I only have 4 Mini Hikaris although I would love to have a full colourway set of the Freddys. Lilbrimer23 wrote: I'm sure we will get both! My theory is that mini Hikari are being made for those that like Hikari but can't quite afford or justify paying the higher price point. In our house we have a few full size and an ever growing mini Hikari collection. They are both awesome so why not continue both lines? Mini Hikari are definitely the "breaking into Sofubi" line. I think if they continue their pacing, more and more people will probably pick up the regular guys. Agreed. The minis seem like a great intro item into the Funko sofubi world. 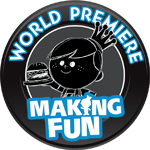 Curious to see what could happen if Funko went for a mass market Mini Hikari release. Maybe a few more strategic HIkari pieces like from Rick & Morty, more cereal mascots or another hot property could help get a little bit more momentum going. The MMPR Megazord did really well around here at Walmart, so there is some mass market/larger audience interest in the right pieces at the right price point. A mini Hikari Rick.. wow i need that haha. I hope one day we see a fully painted OG colorway character like we do with Hikari, even if it's like $30 i'd still get it. I haven't seen any preorders on new stuff from the usual suspects. 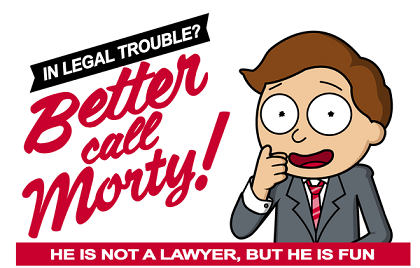 Any word from Funko on the future of the line? I think we'll still see a small amount of hikari in the future but I feel like they are going to focus more on the mini hikaris. I can definitely see them continuing the regular Hikari and expanding the mini Hikari lineup. Since i am interested in so many different characters and series and can't bring myself to buy a $70 hikari off the bat, i usually wait till they get really discounted and then pick them up. And even so i only collect Iron Man Hikaris, but for some reason can't shake myself free of the freddy mini hikaris, they just are so charming. 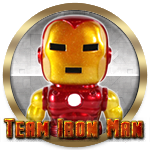 Eventually i hope they make an Iron Man Mini Hikari, i am sure they will, but only time will tell. It seems like the demand even for mini hikaris isn't very dramatic, you can tell by the looking at the price point of the LE 400 freddy mini hikaris, very similar to the regular hikaris with relatively the same edition size. I personally Enjoy the full sized Hikari myself. Otherwise, it just feels like a transparent pop. I keep forgetting to check if the mini Hikari boxes have Mindstyle branding. Funko could be moving away from collaborating with them on the Hikari line. nanite wrote: I keep forgetting to check if the mini Hikari boxes have Mindstyle branding. Funko could be moving away from collaborating with them on the Hikari line. Zero mention of Mindstyle on the mini Hikari boxes. I would have to go back and look at a few recent ones but I do not think I've seen Mindstyle mentioned on any of the Hikari boxes for a while now. Nothing new today again what happened to Hikari Friday ? I like the smaller style. I wouldn't mind if they continued on that path. i think the full size hikari they made too many of some molds. stevebb wrote: Nothing new today again what happened to Hikari Friday ? kdmlvr wrote: i think the full size hikari they made too many of some molds. I think some of the more recent ones have have gotten a bit redundant in their colorways. I do not mind the multiples as long as they feel different. I love the Frankenberry mold but the color variants were pretty redundant. Captain America, Stitch, Night King, Jack Skelington... they all had a couple that treaded into that territory as well. Keep the larger ones more unique and that will help them retain their special factor. Bummed about the lack of Hikari Friday. Been since before D23 that we have seen one. Hopefully now that D23, SDCC & HQ grand opening are done we will see a return to weekly announcements. Heck, I would be down for just bi-monthly Hikari Fridays if that meant it was more feasible for the line. I really like the "bigger" collectibles, I'm sad the oversized Walking Dead minis didn't take off. Sometimes I wish the 9 inch Pops would make a comeback. If Hikari came in more characters I like than I would buy them. Didn't see a thing in the pictures from the HQ opening. Would be nice to get some official word on the line. Same here, hope the churn out more characters in the large Hikari form. Then again, they are a bit out of my price range for purchasing regularly. Valde wrote: I really like the "bigger" collectibles, I'm sad the oversized Walking Dead minis didn't take off. Sometimes I wish the 9 inch Pops would make a comeback. If Hikari came in more characters I like than I would buy them. That always bummed me out too. I'd love larger versions of some of the awesome minis that exist now. Hoping to see some of the Disney hikari get a reboot. Chernabog wrote: Hoping to see some of the Disney hikari get a reboot. YES PLEASE! Still working on completing my Mickey and Stitch lines but would loveee to see more and other Disney characters. I'm starting Hikari heavy as of last week hehe. Creating a set up of Emerald/Green hikaris (jade megazord, emerald voltron) and GOLD (batman, optimus). At first, I wasn't interested due to the color crazy schemes they had. After searching hikari on PPG, I was drawn in to the green and gold and even the grey skull ones. I have to admit I don't really dig the larger Hikari, and thus far there hasn't even been a character I'd want in that style. 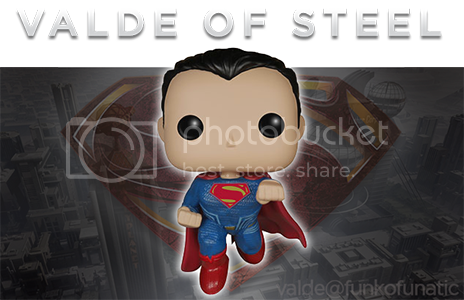 The only one I own is one I won through Funko on FB, haha. The only mini Hikari I own is the black glitter Freddy, although I like their size a lot better as well as price, so if they make characters I want, I'll get them. 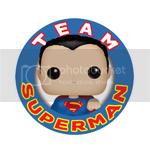 Characters I'd buy, big or small would be Superman, Wolverine, Ghost Rider, Wolfman and Freddy Krueger. You're definitely gonna love the Green Glow Stitch! It's probably my favorite one out of all the Stitch variations. PopDaddy wrote: I'm starting Hikari heavy as of last week hehe. The GITD Stitch is pretty rad. 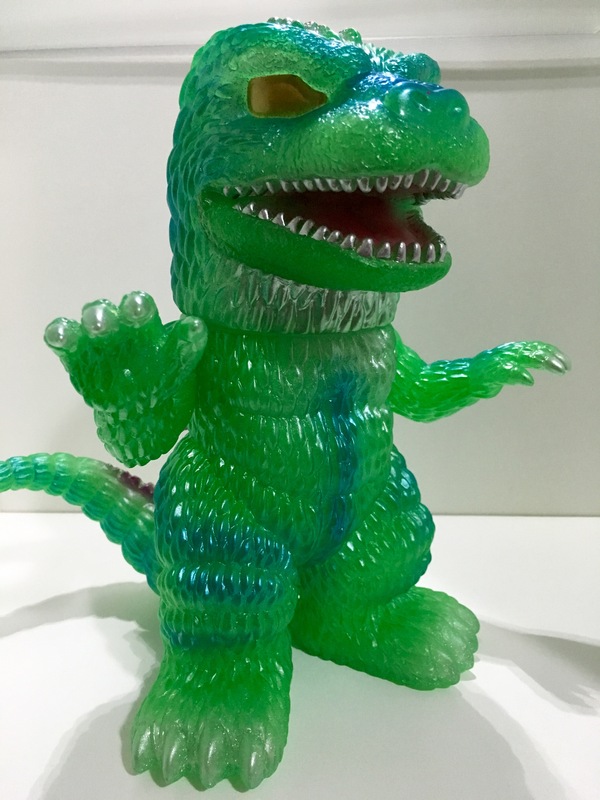 Also check out the ECCC Stormtrooper and Kaiju Godzilla for some more green sofubi goodness. really want the GITD stitch! 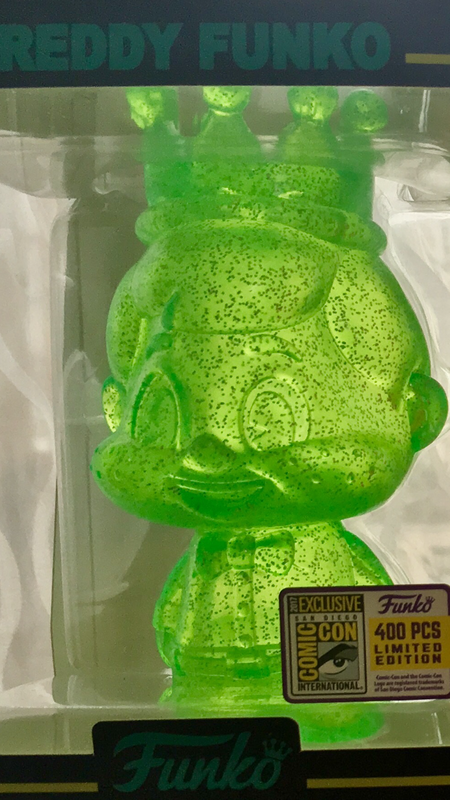 I have the neon green freddy mini hikari and the new "green" coming! PopDaddy wrote: really want the GITD stitch! 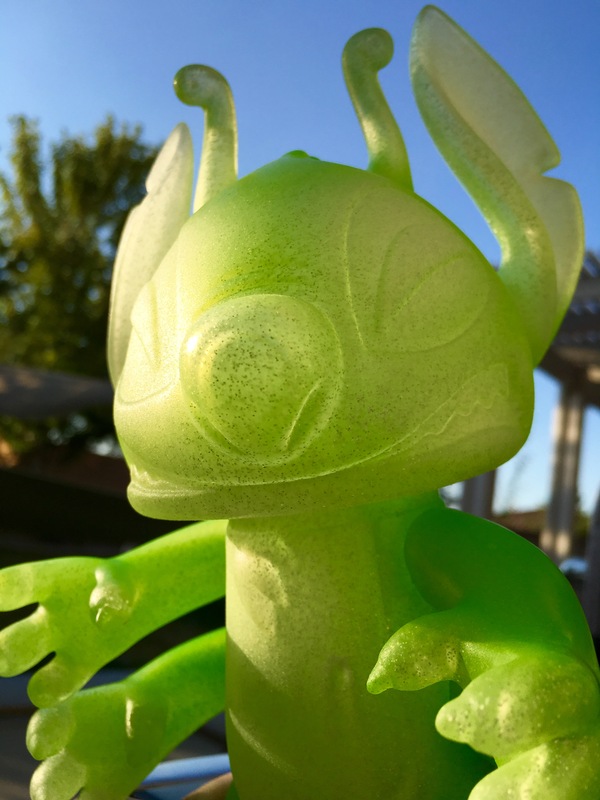 I have the neon green freddy mini hikari and the new "green" coming! GID Stitch was their exclusive and they had him on clearance as well as some damaged box mark downs recently too. I just took a look at those green Hikari. Now I want either one. Thanks! Forgot about them. Took a look and they have plenty green hikari!